Black Friday and Cyber Monday are traditionally times when the US goes crazy for mega sales and luckily the VPN industry is included in that. Thankfully many VPN providers are based in the US and the ones that aren’t want to keep up which means for the eagle eyed VPN bargain hunters you’ll have noticed there are plenty of VPN deals to be had at the end of November and start of December. If you weren’t so quick off the mark this year then you’ve already missed out on the Black Friday deals and Cyber Monday has now slid past too. The great news is many of the deals are running until the end of the 2nd December 2015 which gives you the rest of today and the whole of Wednesday to take advantage. 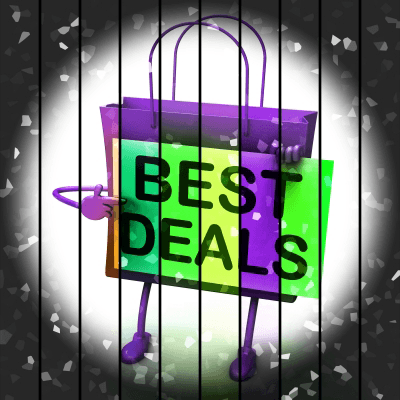 However, you’re going to have to be quick as these deals are all coming to an end and as history has shown although some providers do have Christmas and New Year deals the savings are never as big as the Black Friday and Cyber Monday ones. Below I’m going to run through the deals that are still available so don’t delay as there is only a small amount of time left to take advantage of them. IPVanish has one of the best deals going with 40% off their whole range of packages. This is active until the end of 2nd December 2015 so time is running out. The offer includes their 1 Month, 3 Months and even their 1 Year package. This provides the following savings. Save 40% off all IPVanish accounts. With over 60 country locations to connect to IPVanish cover the majority of the world. Protecting your privacy and accessing content that is usually blocked is easy with their suite of software for Windows, Mac, Android, and iOS. At just £31 for a whole year account now is the time to take advantage and with a deal this good you would be mad to miss out. Just follow the green link below to take advantage. Another big deal still available from another large VPN provider is 40% off the VyprVPN Pro package bringing the price down from the princely sum of US$99 to an incredible $59.99 (approx £39.81). This works out at just $5 per month and even comes with a three day trial allowing you to test the service and cancel if it isn’t what you require. Save 40% off a VyprVPN Pro account. VyprVPN has over 50 servers world wide and also offer software across a range of devices including Windows, Mac, Android and iOS. The 40% off deal ends at the end of December 2nd 2015 so take advantage by activating the deal by following the green link below. Another heavyweight VPN provider Torguard has up to 50% off a range of packages until the end of 2nd December 2015. This recurring discount offers the following savings. TorGuard offer over 42 countries to connect to and have 5 VPN protocols available including OpenVPN, PPTP, L2TP, SSTP and IKEv2. Save up to 50% off TorGuard. To activate the deal and take advantage of the 50% saving enter “BlackFriday” at the checkout and follow the green link below. IronSocket has 50% off all packages until the end of 2nd December 2015. The already cheap packages come down to the following prices when using the discount code. IronSocket has over 36 countries available to connect to and a DNS proxy included. If you’re after paying anonymously they also let you pay with a gift card. Take advantage and save 50% off IronSocket by entering the coupon “2015SALEM” at the checkout and following the green link below. EarthVPN has two offers available until the end of 2nd December 2015. Those interested can save 20% off a Year package or 30% off a Two Year package. 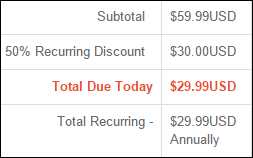 This brings the year package down from US$39.99 per year to $31.99 and the two year package down from US$77.99 to $54.59. Users interested in activating the deal should enter “ANNUAL20” for the Year package and “ANNUAL30” for the Two Year package and follow the green link below. So there you have it, there is still over 24 hours left to take advantage of some Black Friday and Cyber Monday deals. If you’re in the market for a VPN service now is the time to make great savings especially on yearly accounts. If you want to know more about the individual providers take a look at our VPN review section.